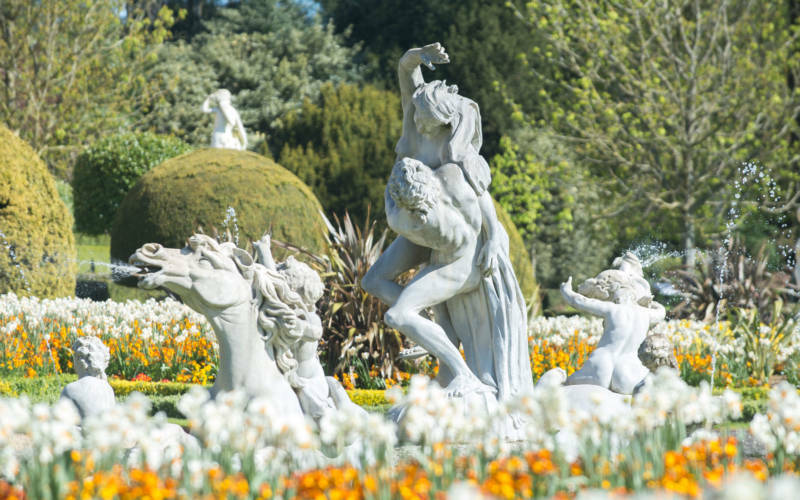 Waddesdon Manor is just off the A41 between Bicester and Aylesbury in Buckinghamshire. For Sat Nav users our postcode is HP18 0JH. The main visitor entrance is via Silk Street. Travel to Waddesdon in a greener way. Take the train and get 2for1 entry. See more on our Good Journey page. *Available with pre-printed voucher and a valid train ticket. Our nearest train station is Aylesbury Vale Parkway. Regular trains run from London Marylebone to Aylesbury and Aylesbury Vale Parkway. Your onward journey from the train station can be made by taxi, bus or via the new Waddesdon Greenway, a safe cycle and walking route joining Aylesbury Vale Parkway to Waddesdon Manor. We offer a shuttle bus service from the AVP train station to the Manor from March to October. Runs from 11.03am, Wed-Sun, 27 Mar-27 Oct. Return bus 4.15pm, Wed-Fri and 4.45pm, Sat, Sun and Bank holidays. Enjoy a ‘car-free’ day out. This new and safe 4km pedestrian and cycling path links Aylesbury Vale Parkway with the village of Waddesdon and Waddesdon Manor. On arrival you’ll be directed to our Welcome Pavilion, where you will need to purchase a grounds entry ticket, or show your National Trust membership card. If you wish you may leave your bike in our sheltered rack next to the electric charging points and continue into the grounds via our free shuttle bus. Alternatively, you may cycle up to the Manor along the main entrance road. Please dismount when you reach the closed main gate, and walk your bike through using the side pedestrian gate. Once through this gate you may continue cycling on the entrance road to the North Fountain. At this point a member of staff will show you where to safely leave your bike in a sheltered bike rack. You may wish to continue cycling to the Stables using the main entrance road where there is another sheltered bike rack in the parking area. When you are ready to leave, you can cycle down the exit drive, taking a right at the bottom onto Green Lane, and then back to the car park/Greenway, or exit via Silk Street and onto the A41. Please make your way to the Welcome Pavilion in order to purchase your grounds entry tickets or show a valid National Trust membership card. There’s a regular free shuttle bus service from the car park to the North Fountain and then to the Stables and finally back to the car park. This runs approximately every five minutes. The 1,000 space visitor car park has dedicated places for Blue Badge holders and family parking. On arrival you’ll be directed to our Welcome Pavilion. We have four spaces in the visitor car park signposted for the purpose of electric vehicle charging. Spaces are suitable for a 16A EV Type 2 charging socket and are free of charge. The local bus runs from Aylesbury to Marsh Gibbon via Waddesdon. Please note: this is an infrequent service and there are no buses on a Sunday. On arrival in Waddesdon village, walk through the main gates on Silk Street and you’ll be directed towards the Welcome Pavilion. All visitors, including cyclists, will be directed to the Welcome Pavilion on arrival where you can purchase admission tickets or have your National Trust, Art Fund or RHS membership cards scanned for free entry. If you’ve tickets for the house we suggest you allow 20 minutes for parking and bus transfer prior to your timed entry. There’s a regular free shuttle bus service from the car park to the North Fountain and then to the Stables and finally back to the car park, which runs approximately every five minutes. The house, Wine Cellars, Aviary and formal gardens are then a short walk of 200m (on a flat, surfaced path) from the North Fountain bus stop. There are toilets at the Welcome Pavilion and benches if you have to wait for a bus. Each shuttle bus has space for two wheelchairs or up to five pushchairs without folding them. Walking routes are marked on the map given to you at the Welcome Pavilion. Walking takes around 20 minutes, includes steep inclines and is on a woodchip pathway. Please note: we have a woodchip path which takes you to and from the car park, and because of the surface it is not suitable for pushchairs, wheelchairs or mobility scooters. If you are visiting the house all oversized rucksacks (those with a frame), suitcases, picnic hampers, and food and drink must be left at Visitor Information located near the Manor entrance, where it will be tagged and available to collect at the end of your house visit. All other bags and rucksacks must be carried around the front of you during your visit. Multimedia guides can also be hired from Visitor Information for £3 per handset. Last recommended ticket time is 2.30pm to see the house fully. Last entry to the house is 3.10pm. From this time onwards you may notice our House Stewards start the process of closing for the day. See Visitor FAQs for more details. On arrival, your coach will be shown where to park near the North Fountain, directly at the top of the hill. A member of Waddesdon staff will then board the coach to welcome your group and distribute the pre-arranged house entry tickets. There is then a short walk (100m) on a flat, surfaced path from the fountain to the front of the house. 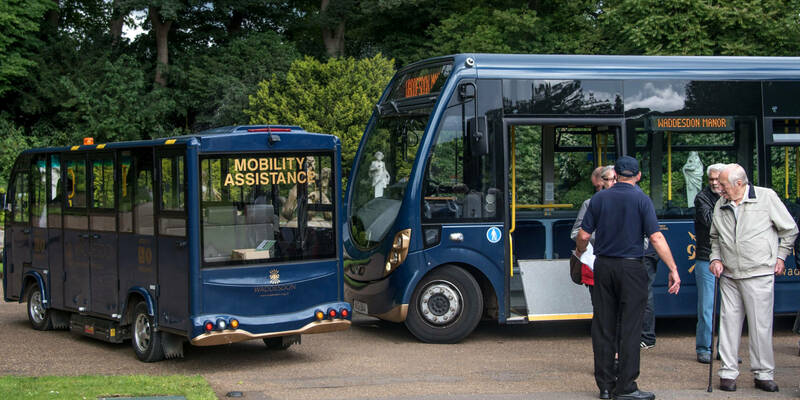 A mobility assistance service, with space for up to 7 passengers is available for those visitors who are unable to walk to the house. If your group is arriving in separate cars, please follow the directions to the new visitor car park. Once parked, give your group name to our staff at the Welcome Pavilion, and then take one of our shuttle buses from the car park to the North Fountain. As group organiser you will need to collect your pre-arranged house entry tickets at this point and the National Trust members in your group will need to have their membership cards ready. Most parts of the garden are accessible. However, there are gravelled areas immediately in front of the house, on the parterre, and also around the Aviary. You’ll find steep and uneven paths on the way to the Stables and down to the Dairy. The boardwalk through the Woodland Playground and the pedestrian path from the Powerhouse to the Stables are steep in places, so may be unsuitable for some mobility requirements. We advise you to use our fully accessible shuttle bus from the fountain to the Stables. Please note: we have a woodchip path which takes you to and from the car park. It can be muddy in places, and because of the surface it is not suitable for pushchairs, wheelchairs or mobility scooters. Assistance dogs are welcome in the gardens and inside the Manor. Non-assistance dogs are welcome anywhere in the grounds with the exception of the Aviary, Parterre and Woodland Playground. Use our dog map to see our dog friendly areas. Dogs are not allowed inside any building including the house, shops and catering outlets or on the shuttle buses. Please keep dogs on short leads at all times. Dog water bowls can be found at the stables. You may sit with your dog in the Stables Courtyard, Manor Terrace and Coffee Bar for outdoor refreshment. Most areas of the house are accessible, however, there’s limited access to the Prints and Drawings Rooms, and Wine Cellars. Our historic lift, which services the first floor, is quite limited on space and not all scooters or wheelchairs can be accommodated. We’ll be able to advise on whether your mobility aid will fit in the lift at the point of admission to the House. On occasion we may request that any mobility scooter or wheelchair user transfer into one of our house wheelchairs upon arrival at the house entrance. This is usually because your mobility scooter or wheelchair is too large to accommodate, or the wheels maybe muddy during the winter months. However, if for any reason this isn’t possible, you’re welcome to use your own scooter or wheelchair on the ground floor. We have four wheelchairs suitable for use inside the house which are located in the main entrance and are on a first-come, first-served basis. If possible, please let us know in advance of your visit if you wish to view the Prints & Drawings Rooms or Wine Cellars and we’ll do our best to help you. Call 01296 820414. 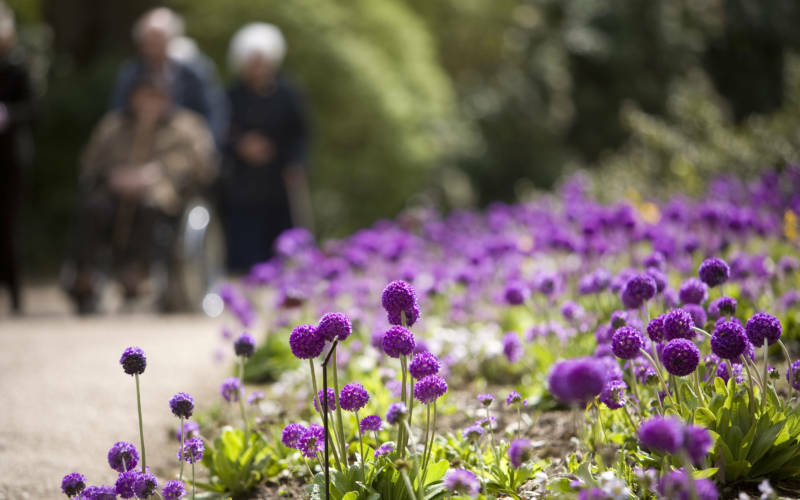 Please note, for safety reasons, we can only allow two wheelchairs or mobility aids on any floor at the same time and therefore on busy days there may be some waiting time during your visit. Chairs are available for visitors to sit on in most rooms, please ask a member of staff to point them out if needed or if you’re unsure where they are. Some of the walkways through the rooms are quite narrow, and to avoid congestion we don’t allow carry chairs or seat sticks to be used inside the house. If you use a walking frame, you’re welcome to use this within the house. We’ve an accessible toilet in the house, and this is accessed via the tunnel to the basement level, by the Manor Shop Courtyard. There’s an accessible toilet in the Stables courtyard, adjacent to the ladies’ toilet. Some of the rooms have large type information booklets available. Assistance dogs are welcome in both the house and gardens. We are committed to providing an accessible attraction for all, and try to ensure that visitors with disabilities can enjoy as much as they can. 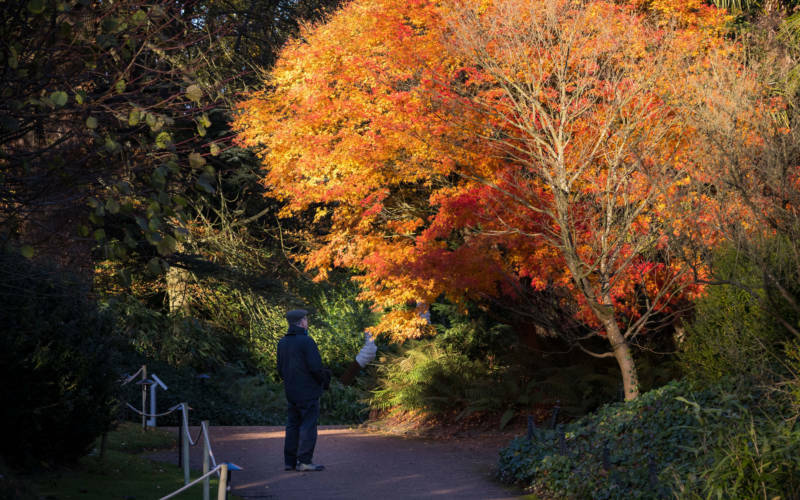 From the stark beauty of winter to the vibrant colours of summer, read our month by month guide of what to look out for in the gardens.